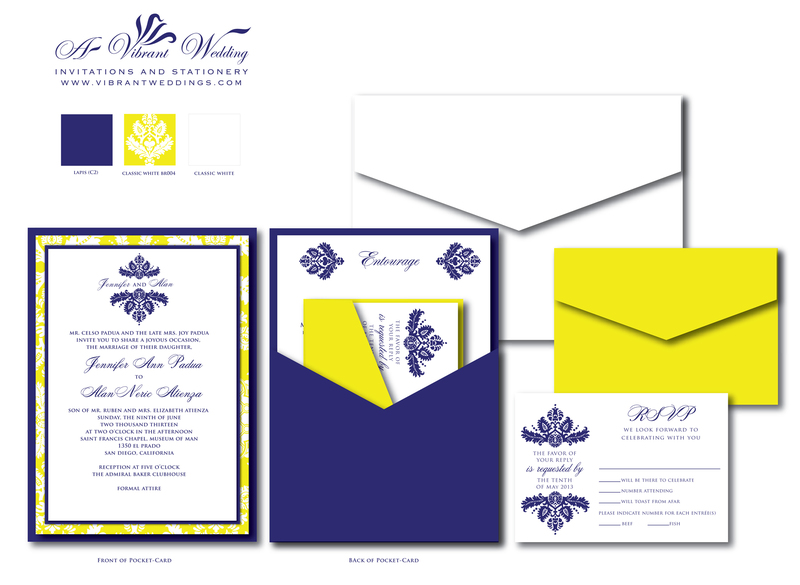 Hey…we understand if you like the San Diego Chargers that much and you absolutely want those colors reflected on your formal wedding invitation. 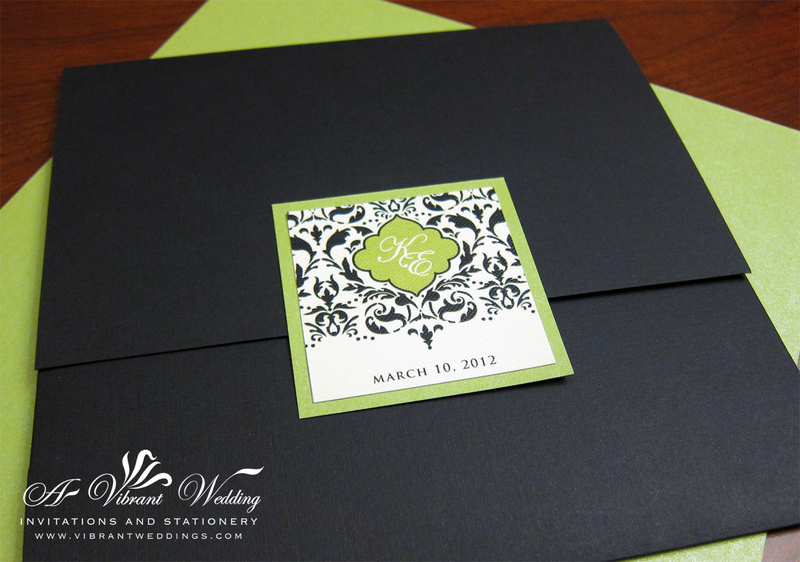 AVW can customize your invitations for you. 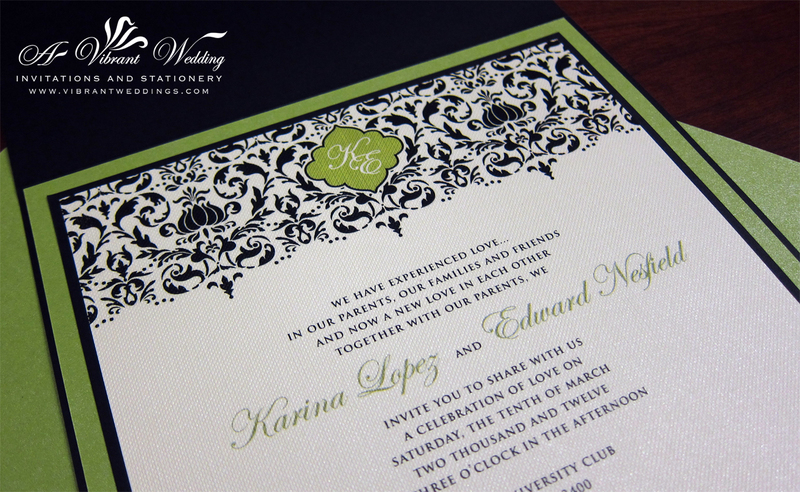 To view our extensive portfolio or to customize your own invitation, please contact us at aVibrantWedding@gmail.com or (619) 852-6886. 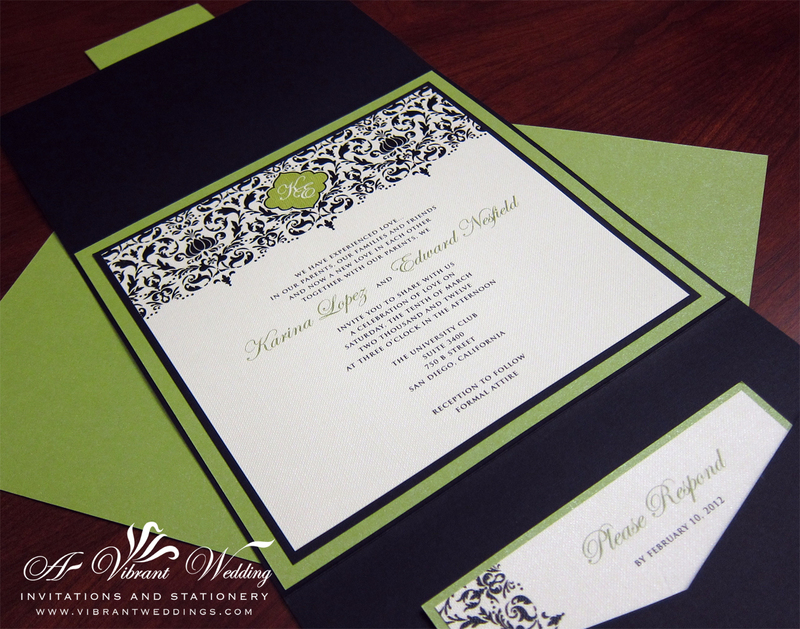 $8.00 per invitation suite fully assembled, for a set of 100 invitations. 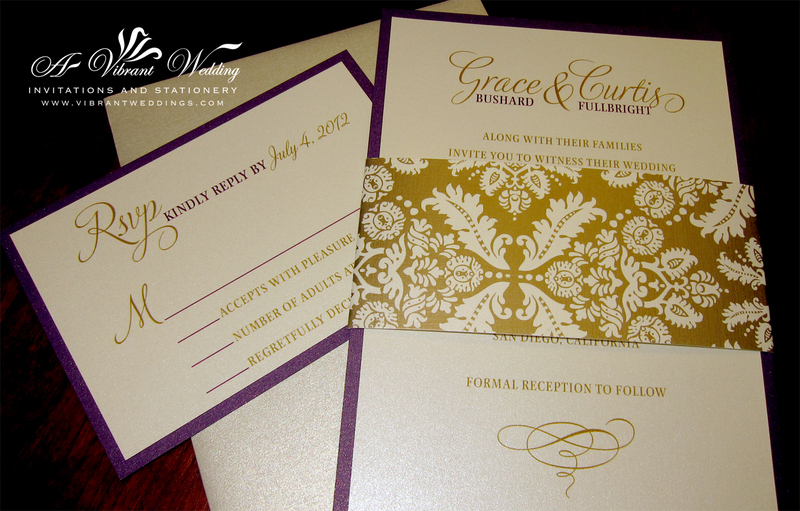 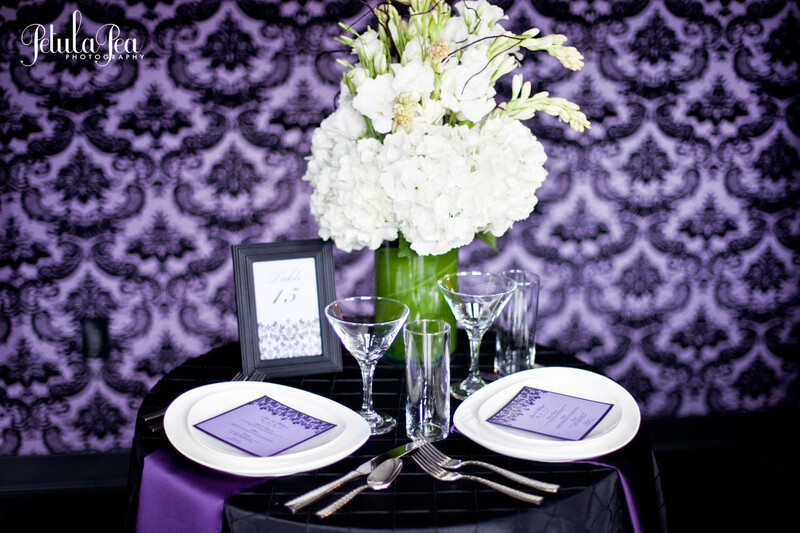 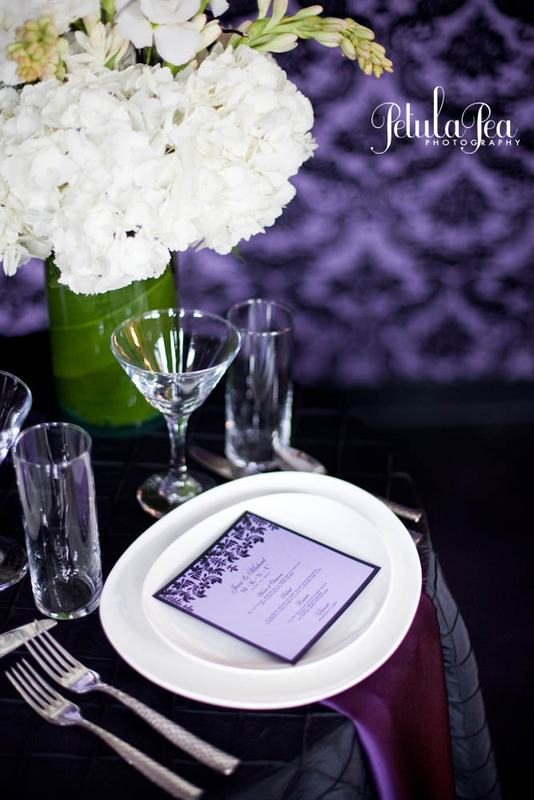 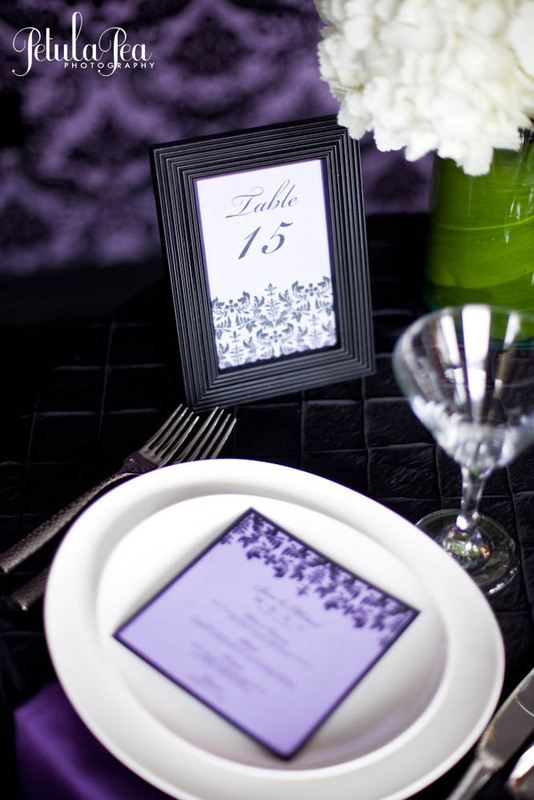 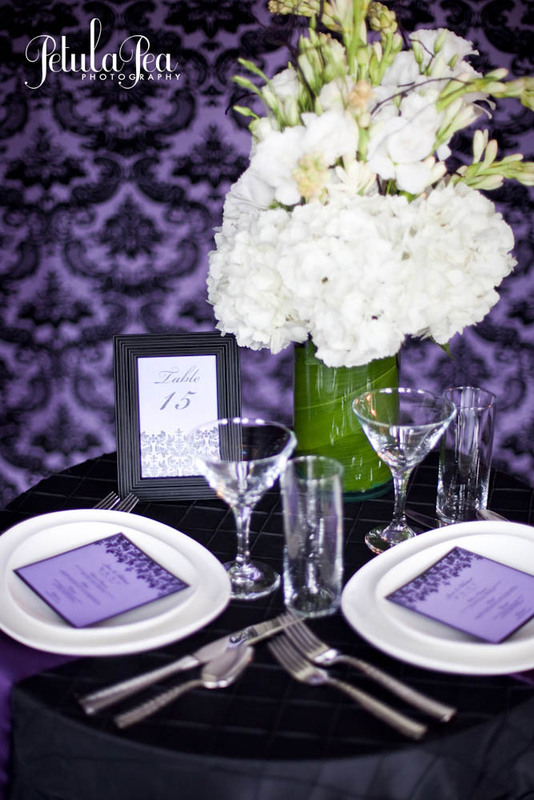 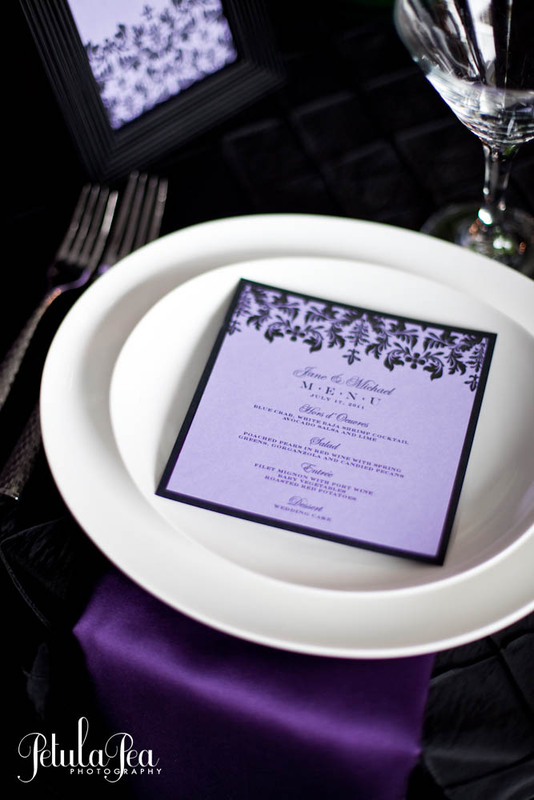 $6.50 per invitation suite fully without assembly, for a set of 100 invitations. 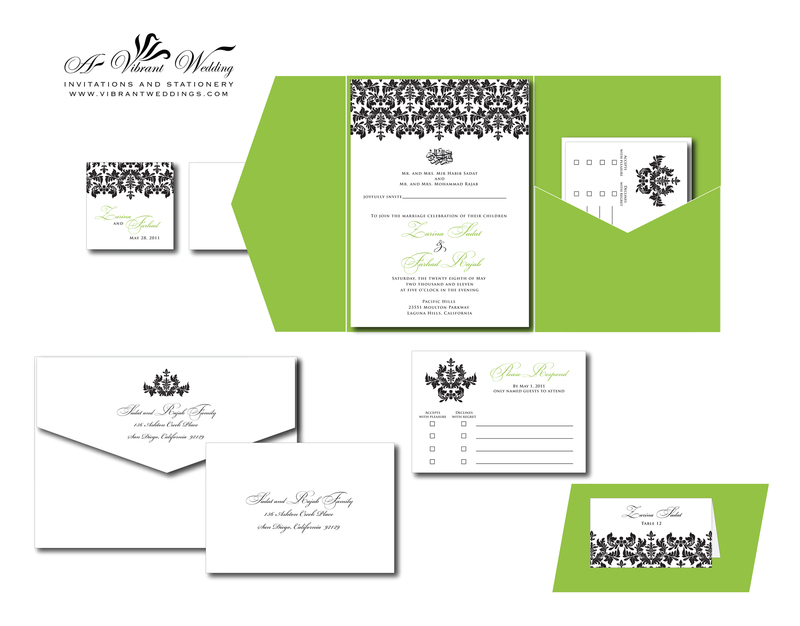 Includes 5×7″ Triple-layered Pocket-card style invitation (pocket is on the backside), the single sheet Response card and two blank envelopes. 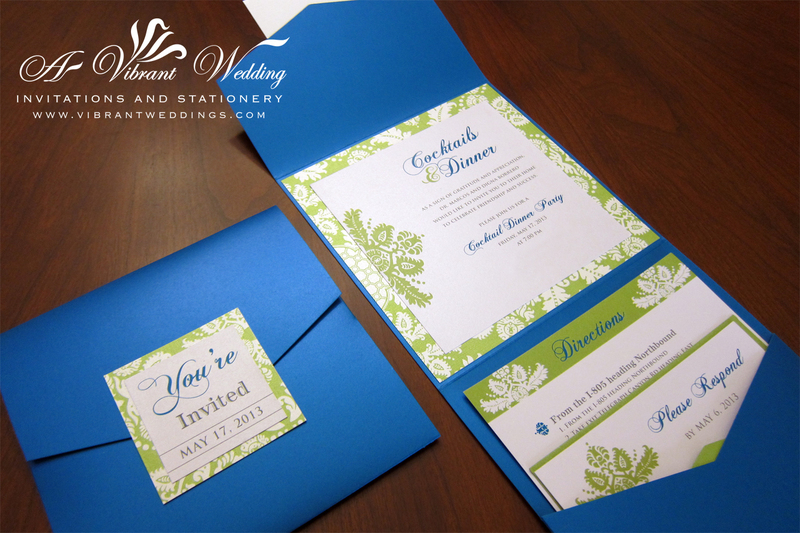 5×7″ Blue and Yellow invitation with Brocade Design.PocketCard Style. 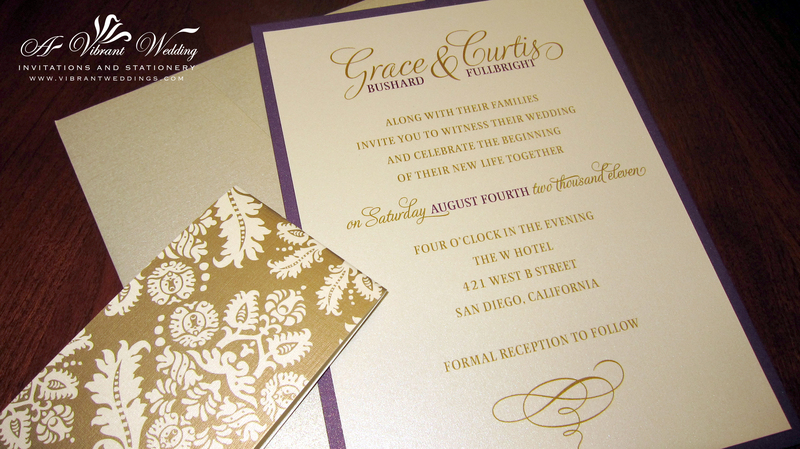 Customize everything from the font, color, design… to your Thank You verse printed on the inside. 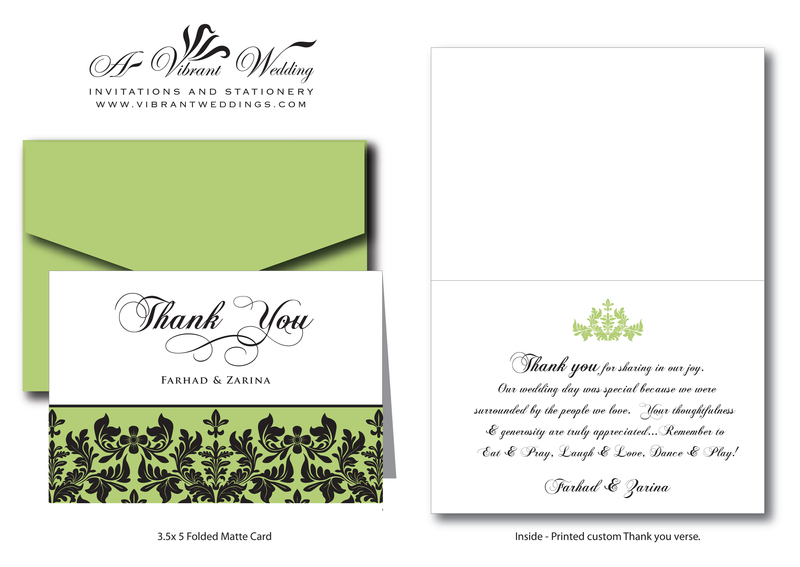 Contact us to customize your Thank You Cards.